"This revolution started by those who called for change, freedom and social justice –– three keywords that triggered a dormant Egyptian gene that moved millions instantly all over Egypt to join in one of the most incredible revolutions of our modern time. It's an outstanding historical experience that we are all in awe of," said prominent Egyptian actor Khaled Abol Naga '89. 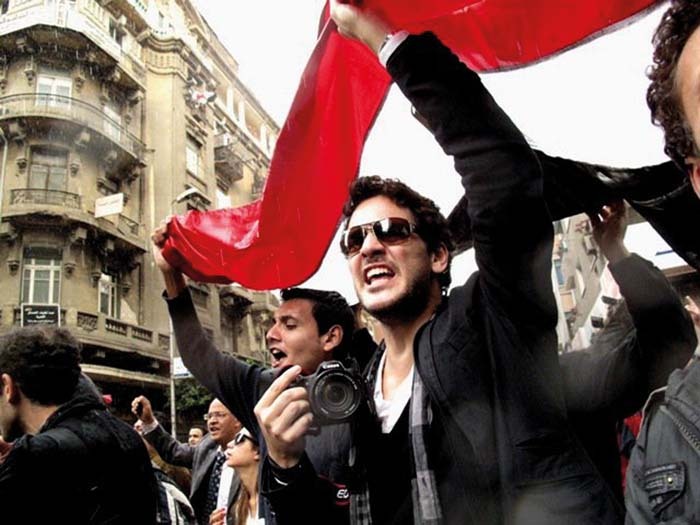 Abol Naga is among many Egyptian actors and actresses who took part in the 2011 Egyptian Revolution, several of whom are alums. These include Amr Waked '96, Asser Yassin '04, Gihan Fadel '93 and Angie Wegdan '04, among others. "I actually didn't expect much to happen on the 25th," said Wegdan, "but as events unfolded, I felt infuriated –– youth dying, working class people living under the poverty line asking for their basic rights. I had to be part of this call for change, so I went to Tahrir on the 28th, as well as everyday during the last week of protests, behind my mother's back. The spirit was very positive; people of all classes were there; and I felt that I was really doing something for my country." 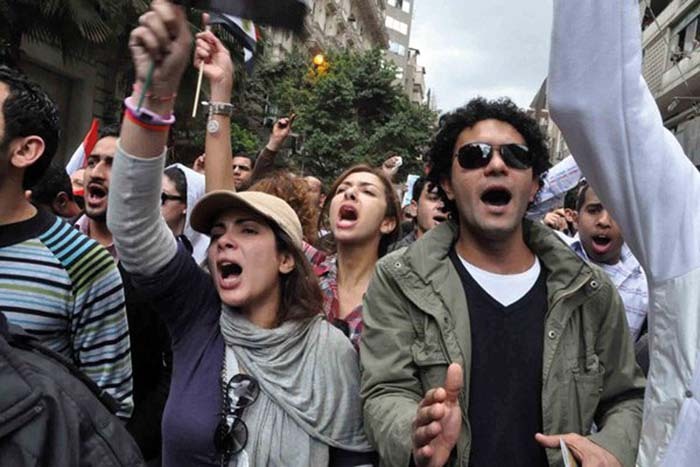 For Yassin, the seeds of the revolution began when he was a student at AUC. "I always felt that we as youth were lacking an Egyptian identity –– no sense of unity or identification," he said. "At first, I went to check things out on the 25th; I wasn't sure what to expect. What I found, though, was an amazing and peaceful spirit. It was something very real and genuine, not moved by anyone. On the 28th, I had no fear inside me, seeing how we were all standing together as one. One thing that affected me the most was when [72-year-old Egyptian actress] Mohsena Tawfik came walking to Tahrir all the way from Mohandiseen, stood firmly against the tear gas and water cannons, and held our hands hard so we would not disperse. The strength and determination I felt was incredible." Looking ahead, Wegdan summed up her vision for Egypt in educating people about their rights; applying the rule of law on everyone, from the president to the layman on the street; and investing in human capital. "Egyptians are smart, but they're not provided with the proper resources or education to advance," she said. "We have a long way ahead, but I'm sure Egyptians will be strong in this world. We'll retrieve our heritage." Similarly, Abol Naga noted that in order for the revolution to reap fruit, all Egyptians must "stay honest and true to the newfound spirit in Egypt," he said. "We have forever lost fear of the unknown and cannot be manipulated by fear or repression anymore. We have regained our sense of pride –– the same we had in 1973. I don't think I will ever be more proud of anything else in my life –– being one of the millions of fellow Egyptians rising and standing up against injustice, corruption and state brutality. 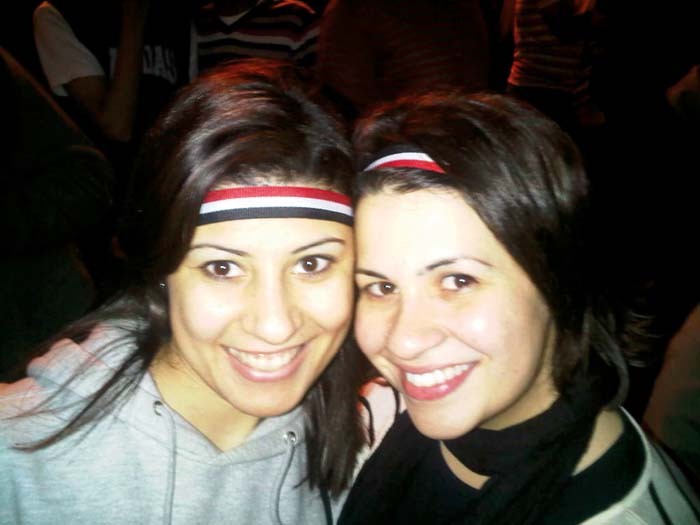 We all knew Egypt deserves better, and so we revolted because we wanted to be present, to be heard and to be free."